This is the Scary Monsters Magazine March 2015 issue #96 celebrating Monster Memories 2015. King Kirby Monsters cover by Terry Beatty. 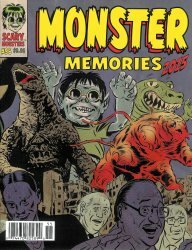 My Monster Memories: Jack Kirby's Monster Comics! Titans of the Fantasies Fantastic!